School districts requested a more compact/slim line case that would work with 360 devices. We have designed a case that solves both issues, the Folio Bookcase. The Folio Bookcase is an Always-On case with a hard shell on top and bottom with stiff wiring in the framework to offer the utmost protection. It has a soft spine to allow it to flip along with the newest 360 Chrome devices. It is only 5/8” thick when empty! 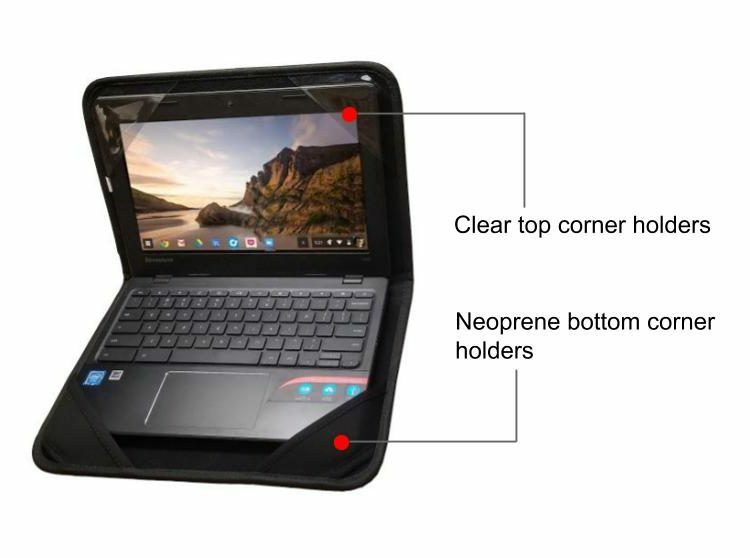 With a device inside, this case promises to be popular with older students who hate using a bulky case and want a compact case to carry in their backpacks. 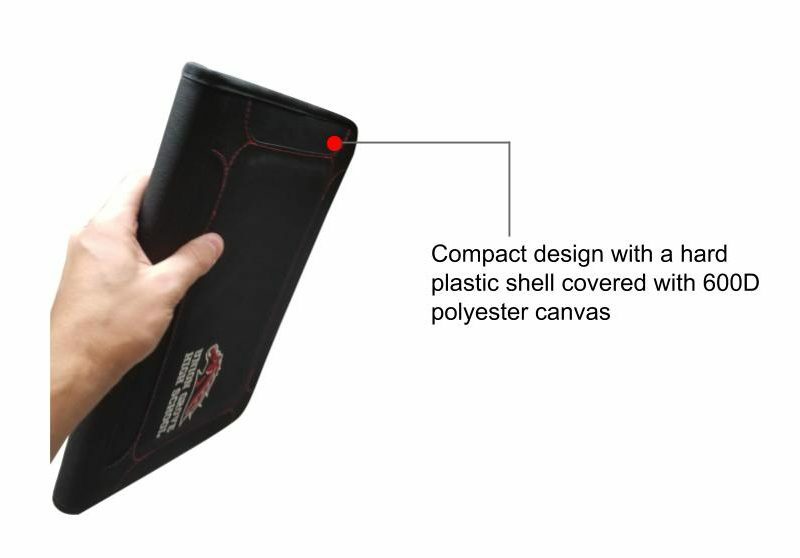 Materials: Hard (5 mm thick) plastic shell covered with 600D polyester canvas, neoprene trim and internal soft lining. 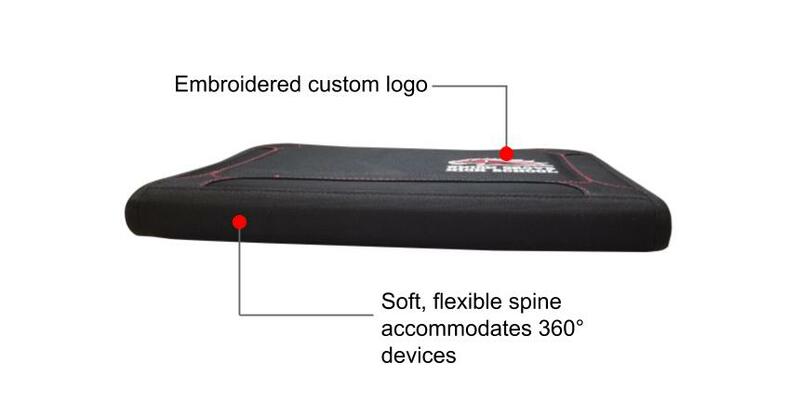 • All cases include an Embroidered Logo, ID Pouch AND delivery to any continental US location. • Warranty/Guarantee on all cases for any defects from normal use for the first school year of use. • Every order will receive an extra 2% of their order as free cases to cover the first 2% of any possible defects. Discounts for larger, bulk orders. We are a PEPPM approved factory/vendor. Special pricing for PEPPM school districts. Special pricing for co-op purchasing programs. Call for our best price quote.